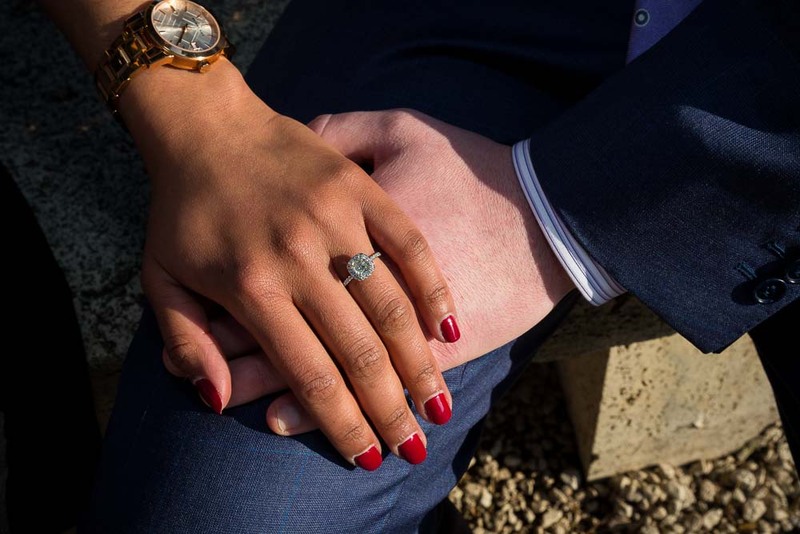 A truly spectacular wedding proposal candidly photographed from the side lines. 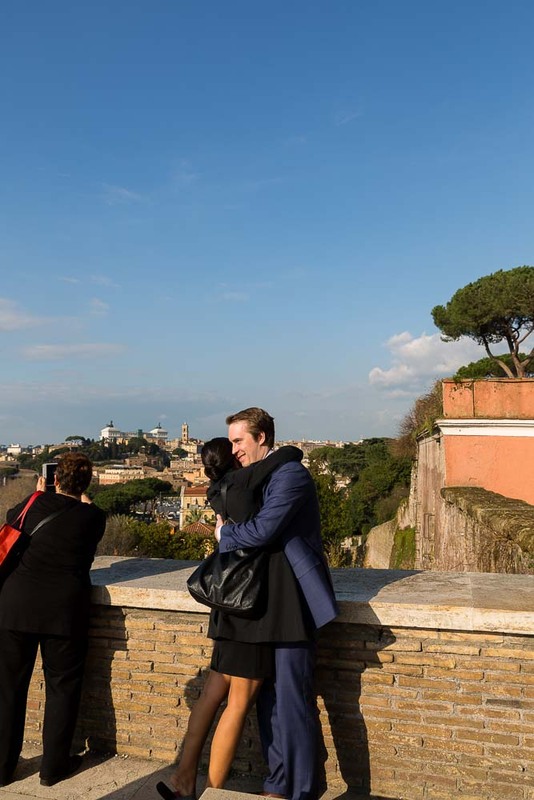 Overlooking the beautiful city of Rome in the distance. So much joy and happiness in such a unique location. With the clapping approval from the people surrounding us! We began the engagement photography right there on the terrace. The light was just nice as we were approaching sunset. We looked around the park for the perfect settings and the best light. In between photos, we briefly pulled to the sides to photograph the beautiful engagement ring. And then continued on gathering different images and ideas. We stopped underneath the entrance arc for a nice portrait. And at the water fountain just outside the park. 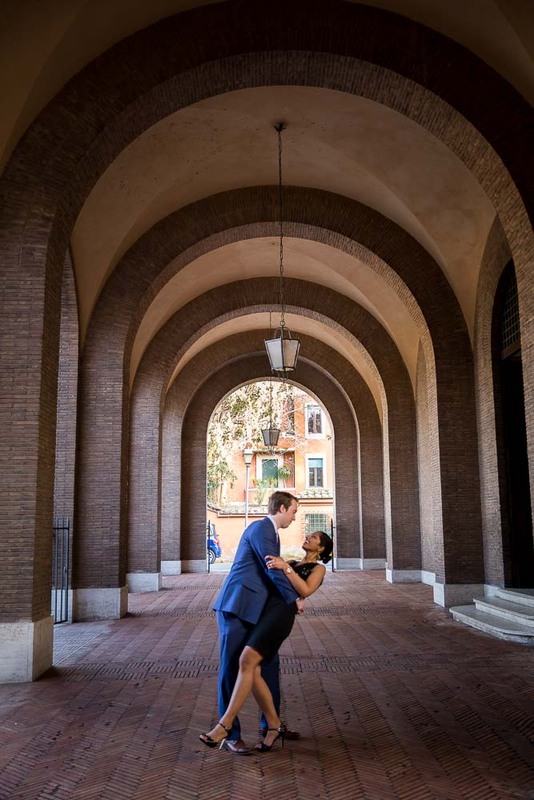 We then moved over to shoot under the arches of Church Santa Sabina and then stepping inside to have a look. 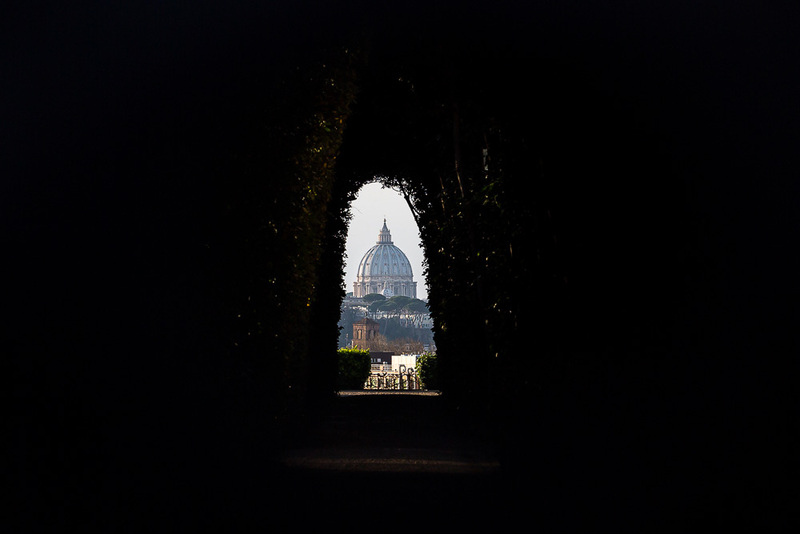 The photo shoot ended with a last few snapshots taken over Villa del Priorato di Malta where from the keyhole door you can see Saint Peter’s cathedral dome in the far distance. Perfectly framed! My photography portfolio to see the best images. 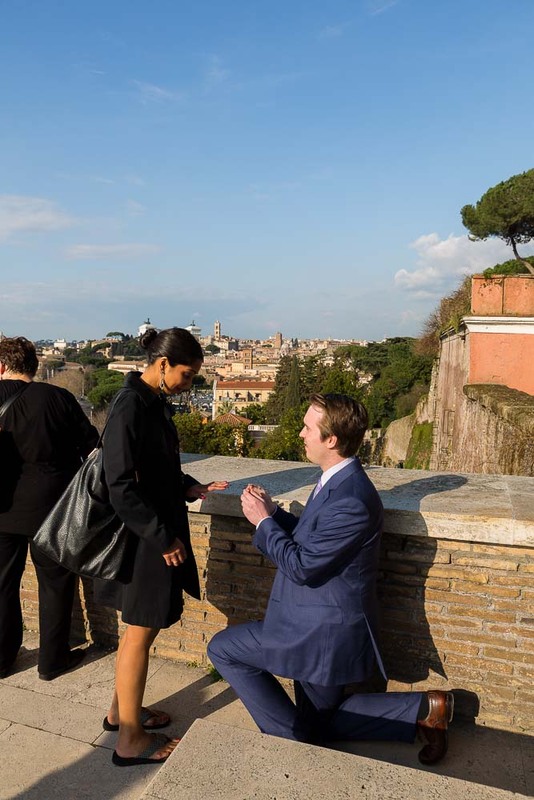 I found Andrea by googling "surprise proposal Rome." 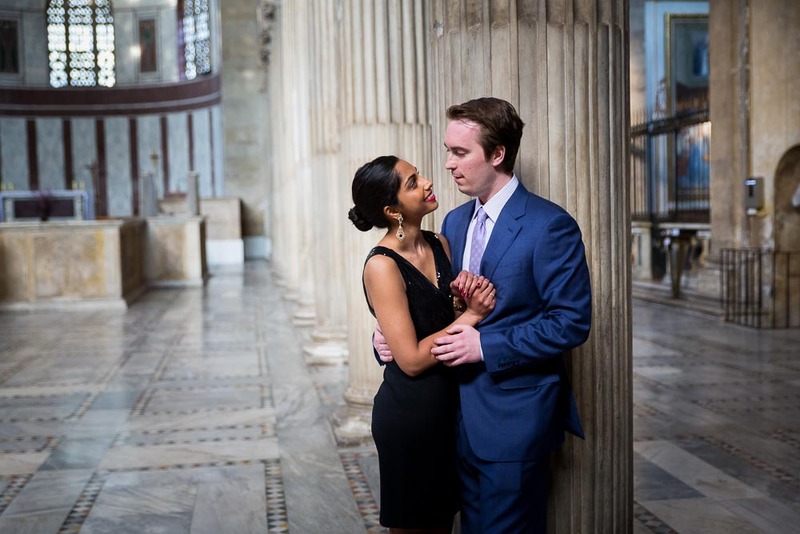 Over the proceeding three months, he helped me plan the most amazing proposal that I could imagine. I was skeptical at first after finding him online, but Andrea was incredibly professional, helpful, courteous, and prompt with emails. 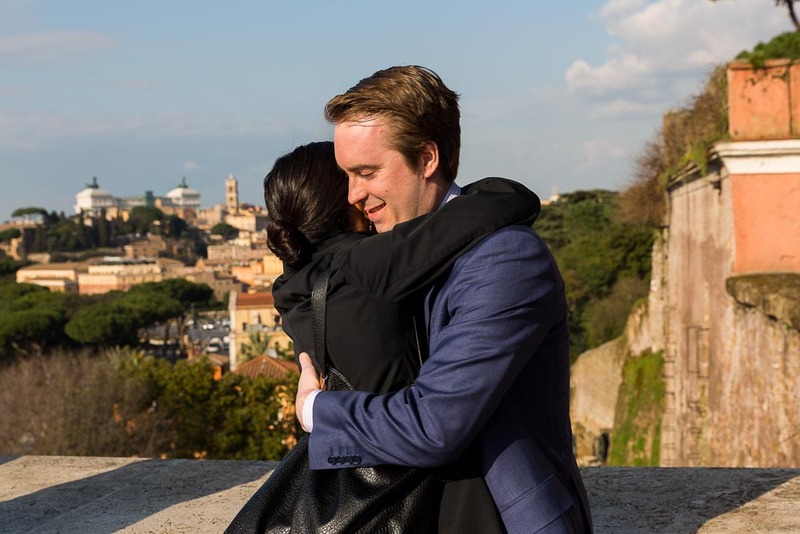 Andrea speaks perfect English and Italian, and has an incredible knowledge of Rome. As we approached our trip (from the US), I was in contact with Andrea and we finalized our plans, including a plan B if it rained. The actual proposal day, despite my nerves, went along just how we planned. 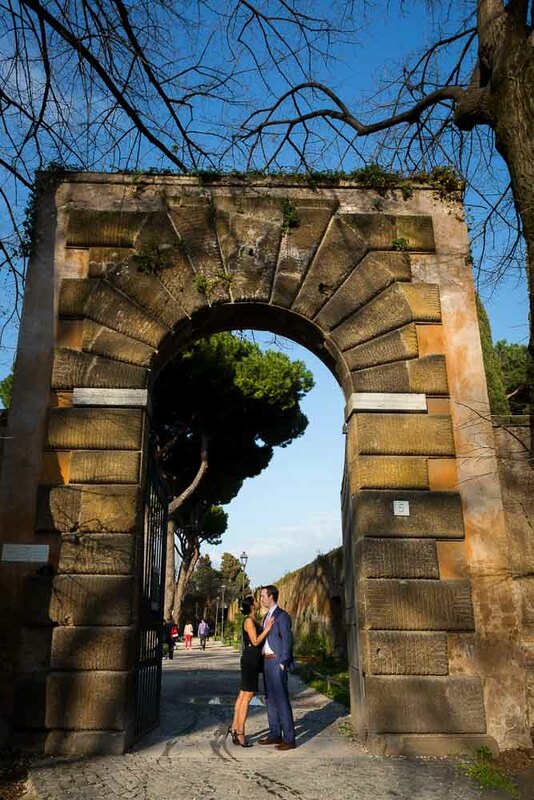 Andrea was waiting for us at the entrance of the park and subtly picked a perfect place for the proposal. Thankfully she said yes! He gave us a few moments to ourselves and then we took pictures in various places around the park for the next hour. He put us at ease and gave incredibly artful suggestions. The pictures came out great and very professional. In fact, he provided several photos the next day and the rest only a few days afterwards. I give my full endorsement to Andrea and would be more than happy to speak with anyone who is worried about finding someone through the internet or just wants a referral. 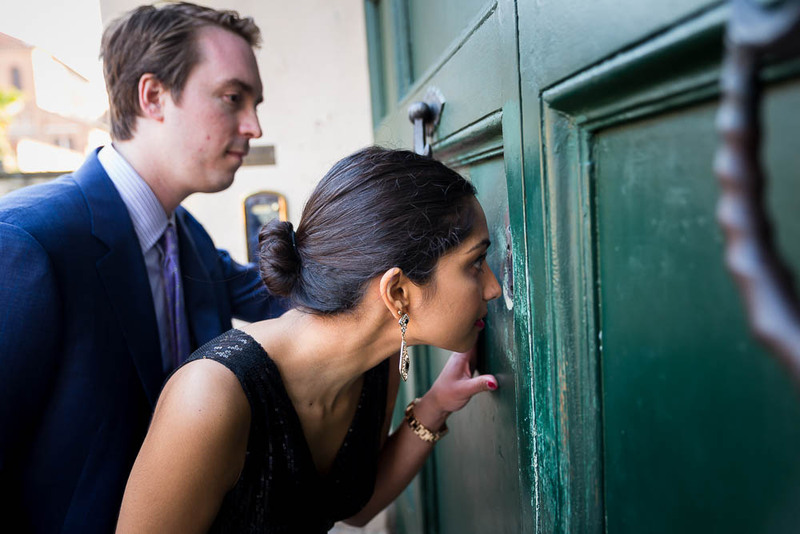 A wonderful surprise wedding proposal candidly photographed from afar. 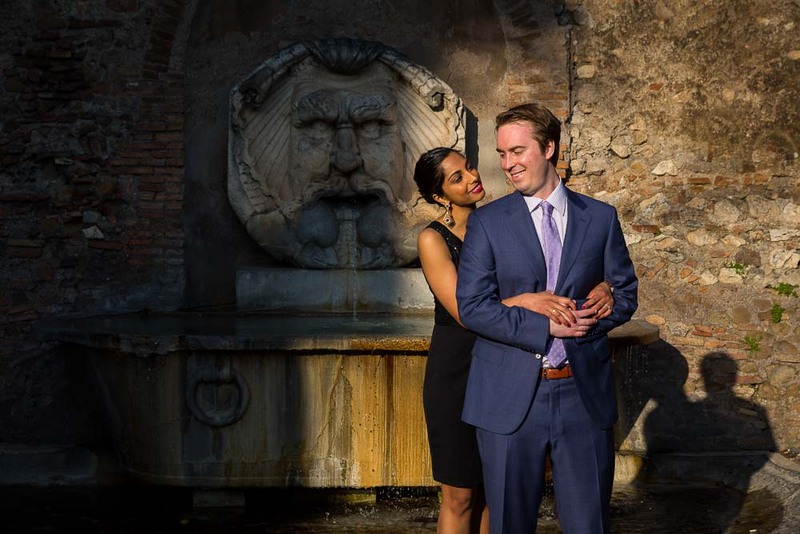 In the beautiful roman setting of Giardino degli Aranci. 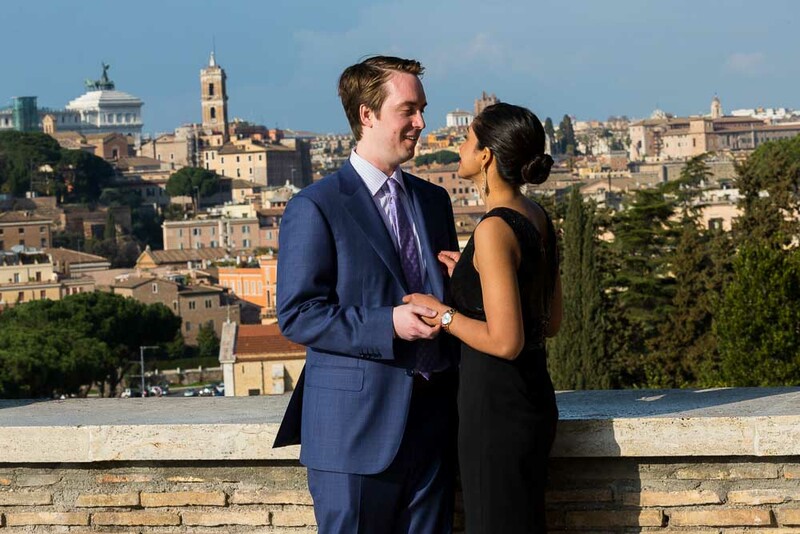 Getting engaged overlooking the roman skyline!